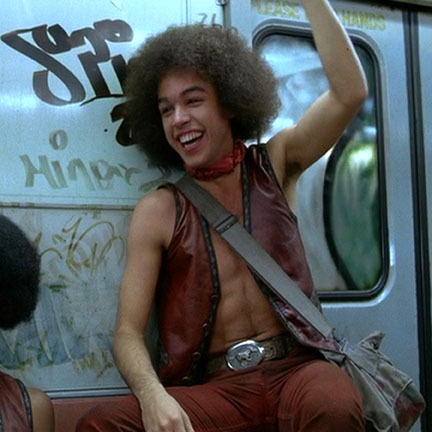 This is the authentic screen used signature “Warriors” vest worn by the character “Rembrandt” portrayed by late actor Marcelino Sanchez in the 1979 film “The Warriors”. 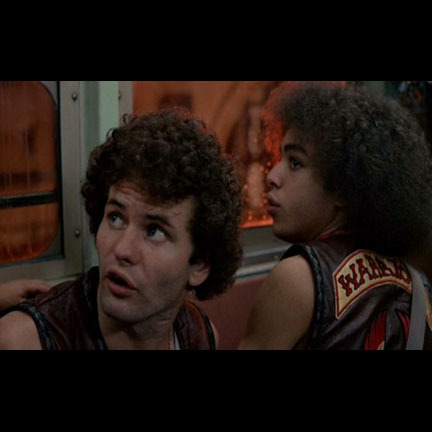 This iconic vest is instantly recognizable to even the most casual fan of the movie, and was the unifying trademark garment of each of the “Warriors” gang members. 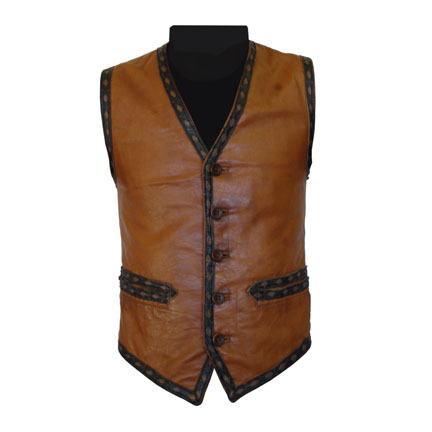 The vintage East Gate brand vest is constructed of tan pleather with brown diamond pattern trim at the hems, armholes, and front waist pockets, and is in hand distressed condition as seen in the film. To our knowledge this is the only known “Rembrandt” vest in existence, making this a rare and unique collectible artifact from the movie. This vest was one of only two acquired directly from the Paramount Studio wardrobe department, who retained the item after its use on the production. 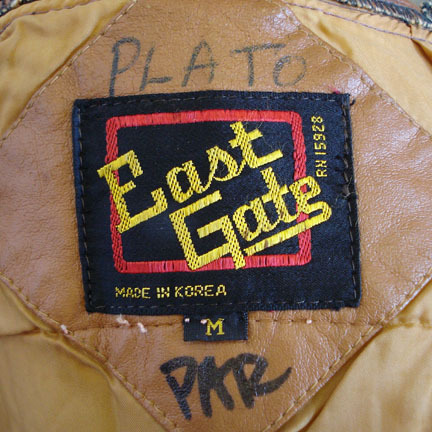 The name “Plato” (Rembrandt's original character name in the script) is handwritten in the interior of this garment along with the letters “PAR” (for Paramount Wardrobe) beneath the label. 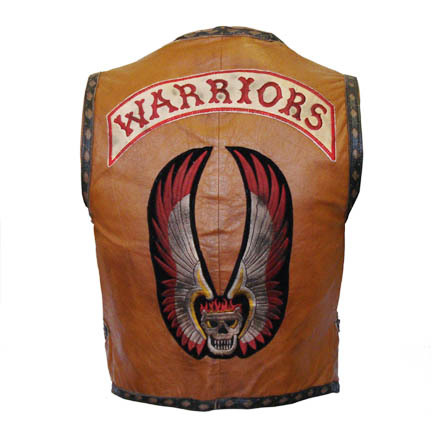 The other Warriors vest was worn by the character “Cochise” (portrayed by actor David Harris) and sold at auction for $15,000.00 in 2006. 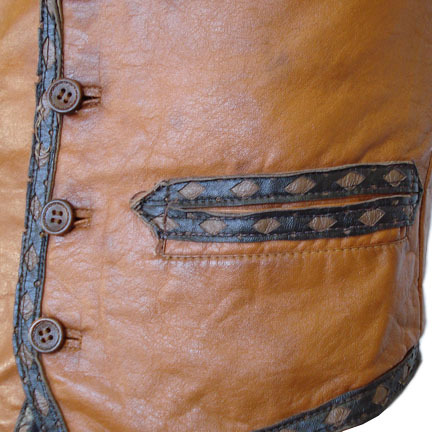 This vest has been professionally restored with replica patches, which have been meticulously hand distressed to match their onscreen appearance. The original patches may have been removed to facilitate this garment’s use in a subsequent production, which is a common practice in the motion picture wardrobe industry (For example, actor Tom Hanks appeared wearing one of these vests during an episode of the television series “Taxi”, produced by Paramount Television). The fully restored patches on this vest were created by the same embroidery company that fabricated the original patches used in the movie. The company retained not only the original tracings designed by Bobbie Mannix (the costume designer on the film), but also the exact same digital tapes that had been utilized to create the originals used on the production. Those same tapes were used to create this set, ensuring that these are exactly identical to the screen used sets. 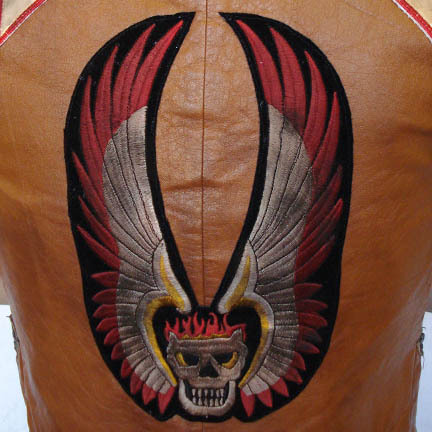 A professional costumer was consulted to assist in aging and distressing the finished patches to their screen used condition and complete restoration of this rare piece of Warriors wardrobe. 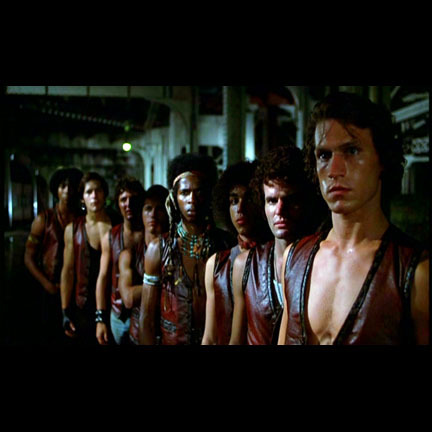 The release of “The Warriors” caused considerable controversy in 1979. The production used actual gang members as security and extras during filming as well as incurring damage and theft from assorted Coney Island gangs at the time. There were also outbreaks of violence between rival gangs during the beginning of its release, which prompted Paramount to alter much of their promotional imagery for the film, as well as limiting and eventually pulling its distribution from a number of theatres. The initial mystique surrounding the film provided it with “cult classic” status, which was eventually elevated to its rightful status as a legitimate “classic” due to its timeless popularity with audiences over the years. Accompanied by a letter of authenticity. Presented by The Golden Closet, your premier source for iconic screen used movie and television wardrobe, props, and collectible music entertainment memorabilia.